Also Read: Avengers: Endgame’: What Is Iron Man’s Big Surprise? We see Tony Stark turning into Iron Man, followed by Captain America and snippets from his films and then Thor where we see footage from Ragnarok. The new Avengers: Endgame ‘To The End’ TV Spot also had footage from Doctor Strange, Guardians of the Galaxy, Spider-Man: Homecoming, Ant-Man, Black Panther and Captain Marvel. This is followed by short footage and logo for each Marvel film which led to Infinity War before we get to see the “in 10 days” marker. 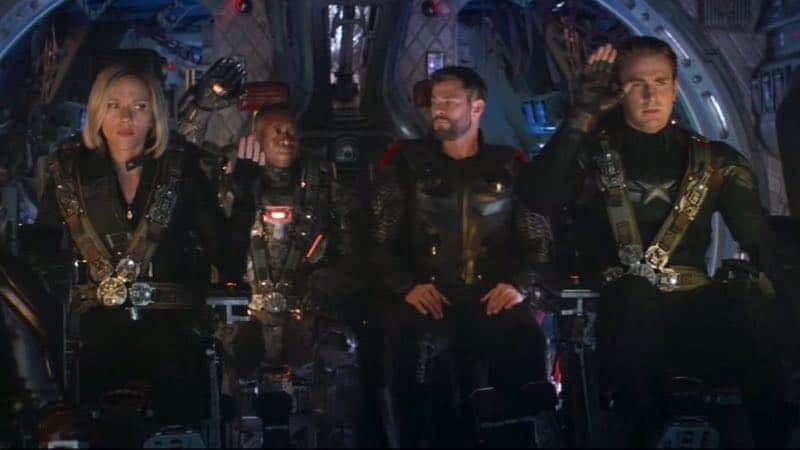 This is when footage from Avengers: Endgame starts, and while most of what we see has been seen by us already in trailers, however, there are some new bits here. We see a new shot at Hawkeye while one sees Tony Stark landing in his Bleeding edge armor suit with the wings popping out as he lands. We also see a new look at Thanos’ ship coming out of dust and smoke, before we get to see Captain Marvel soaring through the blue sky. Avengers: Endgame will deal with the aftermath of the events of Infinity War, which had all heroes in their quest to get the world back to its feet and restore those who faded away in Infinity War. There is some good news too and that comes in the form of Captain Marvel, however, this may not be enough to take down Thanos. But fingers crossed that they make it happen without anyone dying. Avengers: Endgame releases in theaters on April 26th.